Here is a fun factoid: The global adult human population has a combined weight of 287,000,000 tons! I have spent an inordinate amount of time in my life trying to decide how my body measures up. Finally, I have a tool that gives me a straight answer. It is called the global fat scale. One measure of healthy weight is a the BMI – body mass index. 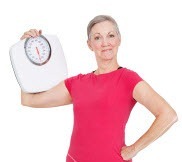 Based on weight and height, BMI is considered an indicator of healthy body weight. The researchers at the London School of Hygiene and Tropical Medicine gathered data from 177 countries. The BBC then took that data and used it to create an online calculator that shows you how you measure up against the rest of the world. The researchers undertook this study because they were concerned about global weight gain. At the end of the study they concluded that global weight gain is a bigger threat to humanity than population growth. The threats are twofold: the implications for health care as people age and the environmental impact of producing so much food. The way it works is simple. Put in your age, gender, height, weight and nationality. Push the button. The calculator figures out your stats. Run your own numbers through the global fat scale calculator here. This entry was posted in global warming, weigh loss, Whole Food Plant-Based nutrition and tagged BMI, Body mass index, London School of Hygiene and Tropical Medicine, Obesity, online calculator, Overweight, Weight gain. Bookmark the permalink.